It was announced this week that the Defence Medical Rehabilitation Centre (DMRC) has achieved its initial operating capacity, having relocated to the new Defence and National Rehabilitation Centre (DNRC) at Stanford Hall last year. 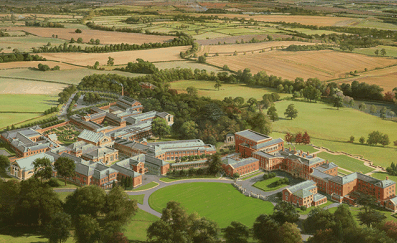 The DNRC and DMRC at Stanford Hall will become the world’s best clinical rehabilitation centres for the armed forces and the nation on its new purpose-built site in the Midlands. Previously at Headley Court, the DMRC treated its first military patient in September 2018. Treatment at the DMRC could also be made available to the public, according to an article in the Nottingham Post last year. Congratulations to all involved for their hard work and commitment to the programme. Summit Medical and Scientific were proud to install the world’s most advanced gait lab, Motek‘s Computer Assisted Rehabilitation Environment (CAREN), at the DNRC last year. This will be used to rehabilitate patients onsite, read more.